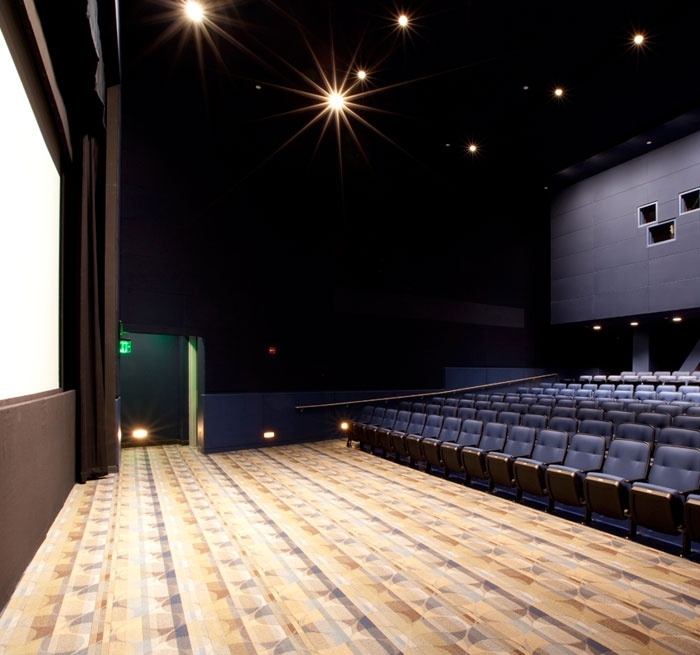 A unique blend of renovation, adaptive reuse and new build, The Paramount Center complex incorporates the former Paramount Theatre and the footprint and historic façade of the adjacent Arcade building – formerly the site of the Bijou Theatre and B.F. Keith’s Theatre – into the new mixed-use performance and academic center. 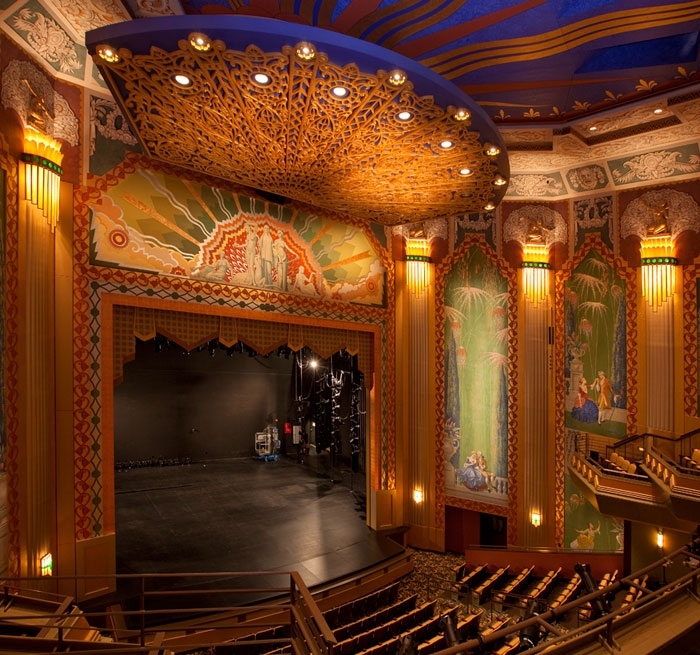 Originally opened as a 1,500-seat movie house in 1932, Auerbach Pollock Friedlander provided theatre consulting and audio- video and production communications design for the re-envisioning of the Art Deco movie palace as a 596-seat legitimate theatre with a full stage; the 125-seat Jackie Liebergott Black Box Theatre, the 180-seat Bright Family Screening Room, rehearsal spaces, media studios, practice rooms and a film sound stage. 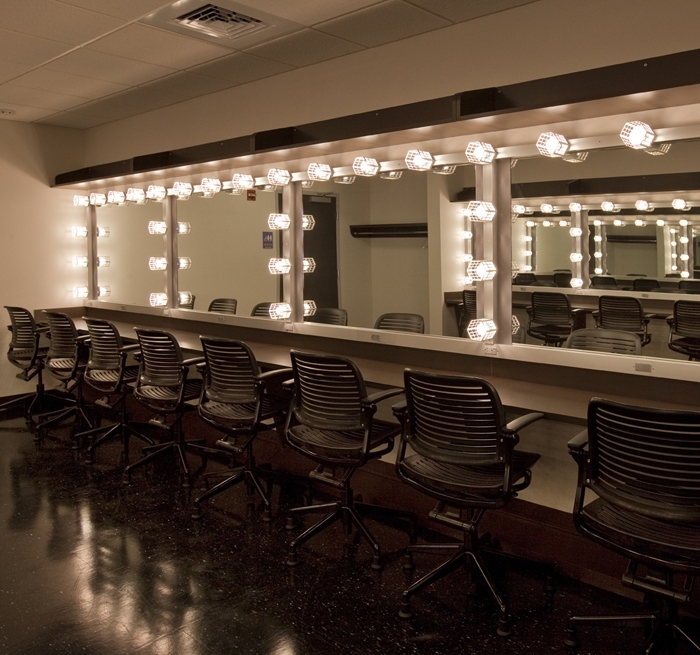 The project required the conversion of the stage and seating location in the large theatre by moving the proscenium further downstage, into the former seating area, to provide a deeper stage. 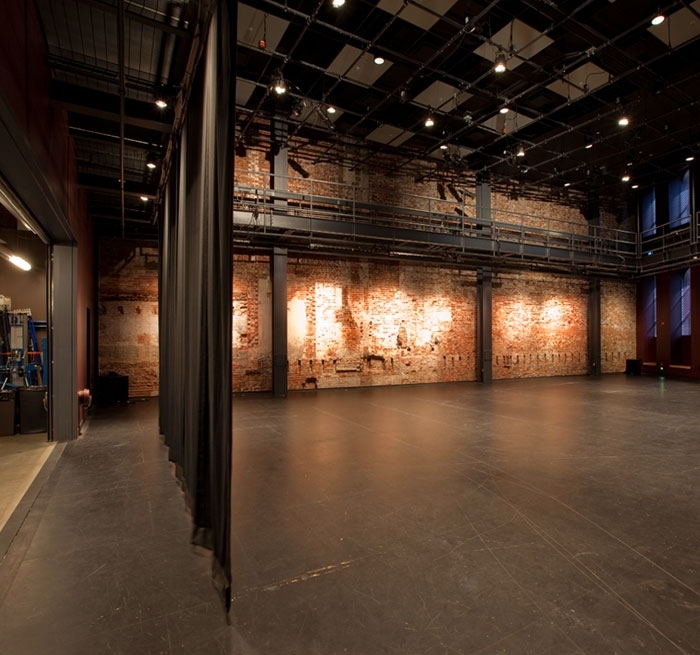 Also, sightlines were improved by reconfiguring the rear of the main level and balcony but still connecting to the existing historic lobby elevations.